From marking dates in your calendars to marking memorable passages in your book, highlighters have proven to be very useful in helping people remember important and urgent things. goes back in time to discover how highlighters are made. Essentially, highlighters are felt-tip pens or Magic Markers but colored with pyranine, a fluorescent and water-soluble dye. They come in different festive colors, with some even too flamboyant for the average consumer. 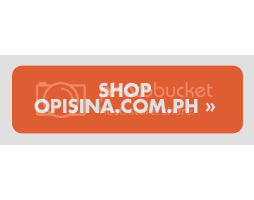 Opisina.com.ph sells a wide range of highlighters from different brands, and would like to share some tidbits about this common office item to you. The invention of highlighters traces its origins to the first marker ever created, the probablythe felt tip marker which was marketed in the 1940s for labeling and artistic purposes. A decade later, Sidney Rosenthal invented the Magic Marker, which will set the standard for making felt tip pens in the years to come. The Magic Marker was called as such because it can write on the surface of virtually anything. Improved versions of the Magic Marker as well as fine-line markers were marketed during the 1960s and 1970s. The wool tip of the regular felt tip pen was replaced with the modern fiber tip widely used in markers today. It was said to have been invented by Yukio Horie of the Tokyo Stationery Company in 1962. This wasn’t mentioned much in the history of highlighters, but Stabilo Boss, a German company founded in 1865 has also been producing highlighters and felt tip pens since 1971. It is also hailed as the European product leader of manufacturing highlighters, aside from its cosmetics pen. The company has changed its name to Stabilo International in 2005. In the Philippines, it is almost impossible for students to not have experienced using a Stabilo Boss marker (or just Stabilo) in their academic life. A number of companies claimed to have invented or improved the modern highlighter, but there were only two companies widely recognized for marketing the highlighter successfully. These two companies were the Avery Dennison Corporation, which trademarked the ubiquitous Hi-Liter name as well as Marks A Lot; and Binney & Smith, which acquired the rights to the Magic Marker brand name in 1989. The 1990s has seen vast improvements in the design of hi-liters and have welcomed the presence of many new players in the product category.